New Messaging & Old Forum closing. We wanted to let you know that in response to feedback from members we have launched a new Messaging system. It will automatically email members when there is a new message, you will be able to mark messages that are important and delete old messages if and when you choose to. 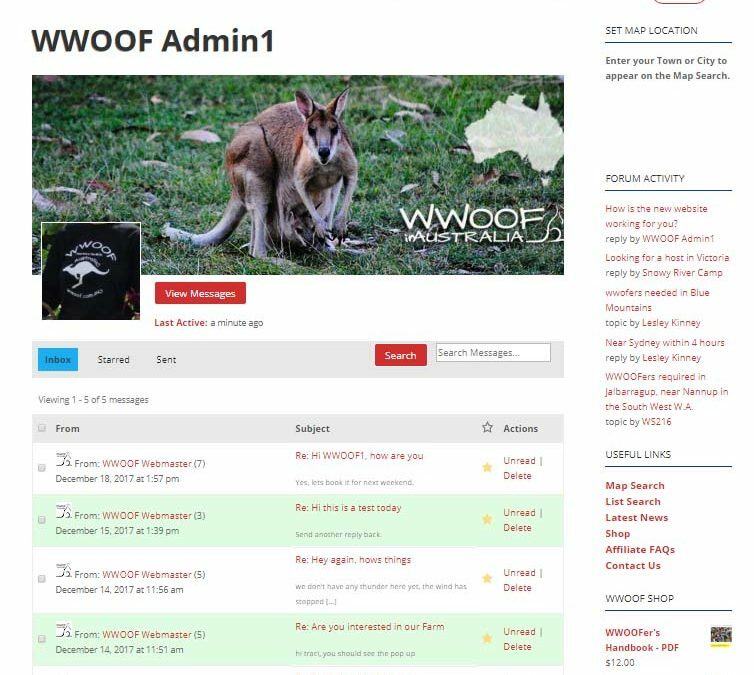 We also advise that the old WWOOF Forum will be shut down at the end of December, so if there is any information you need to copy and paste from there, please log in as soon as possible and do this, as the Forum is no longer supported and will not be available next year.